Gurgaon-based Bright Lifecare Pvt. Ltd, operator of online health store Healthkart.com, has raised Rs 80 crore (about $12 million) from a bunch of existing investors. Sequoia Capital, Kae Capital and others, participated in the Series E round of funding, the Mint reported citing Healthkart's filings to the Registrar of Companies. As per VCCEdge, the data research platform of VCCircle, Omidyar Network also participated in this round. The company plans to use the funds for offline expansion and marketing strategies, the Mint reported citing Healthkart co-founder Sameer Maheshwai. Email queries sent to the company and investors did not elicit a response at the time of writing this report. According to VCCEdge, the company had raised $12 million from Omidyar Network and Sequoia Capital in 2014. It mobilised $11 million from existing investors and Intel Capital in January last year. Founded in 2011 by Prashant Tandon and Sameer Maheshwari, Healthkart sells products in a broad range of categories such as fitness and nutrition supplements, sports nutrition, health devices, personal care, eye-care, parenting and pet care. Tandon is an MBA from Stanford University while Maheshwari has studied at Harvard Business School. 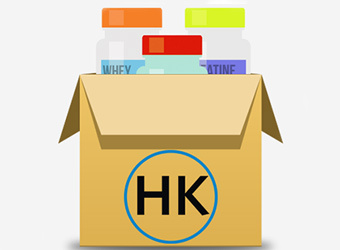 In 2012, Healthkart acquired online body-building and fitness supplement store Madeinhealth.com. Last year, HealthKart hived off its online drug store business HealthKartPlus into a separate entity and named it 1mg. Gurgaon-based 1mg Technologies Pvt Ltd in May raised funds from Switzerland-based HBM Healthcare Investments to top up its Series B round the month before. The same month 1mg acquired Medd.in, a platform that operates a marketplace to book diagnostic and imaging tests, for an undisclosed amount. In a similar segment, Smartcooky, media group NDTV’s yet-to-launch e-commerce marketplace for health foods and personal care products, has received an undisclosed amount in funding from Vandana Luthra, founder of health and wellness firm VLCC Health Care Ltd.